For many homeowners, blinds are a must have for a new or existing home. In fact, the blind and shade industry boasts a $2 billion valuation (that’s around 29 billion Rand). Industry experts widely agree that new blinds add resale value to a home. In addition, they help homes sell faster and offer privacy to both residents and guests. Now that you have been convinced to add blinds to your home, it is time to learn more. Read on for a comprehensive guide on how to choose the best blinds for windows in your home. Before you start shopping for blinds, make sure to take careful measurements. You need to know both the height and weight as blinds come in various different sizes. In addition, you need to make a decision on whether inside or outside mounts will be used. When installing blinds, the kit typically comes with two securing mechanisms. This mount gets screwed on the inside or outside of the window recess. If you choose to mount on the inside, simply measure the height and width of the recess. For an outside mount, however, you should add roughly 3-4cms to each side of the window. There are several different types of window blinds. The most common types are wood and faux wood blinds. Wood and faux wood blinds have both pros and cons. Wood blinds look authentic and are most desirable to prospective home buyers. On the other hand, faux wood blinds are a cost-friendly alternative and the most popular. This is a good option as faux wood is moisture-resistant and more durable than wood. Another option for consumers is vertical blinds. These are suitable for long and narrow windows or sliding doors. Lastly, some consumers opt for aluminum or thermal blinds. Aluminum blinds come in durable 6 or 8-gauge variants and have a sleek, yet elegant look. Thermal blinds are eco-friendly and master the art of keeping heat in and light out. Another variable for shoppers to choose is the width of slats. Slats are horizontal or vertical pieces that make up the blinds. They come in the various different materials mentioned above like wood or faux wood. Slats are typically controlled by a wand or a pull cord. The pull cord allows you to lift the blinds by rolling up the slats. The wand is rotated clockwise or counter-clockwise to close the blinds or allow light in. Shoppers will find that various widths are available for purchase. The sizes range from 1cm to 5cms. In general, the wider slats are more expensive. Blinds have the ability to add elegance and convenience to your home. By simply rotating a wand, you can add or eliminate light from your home. 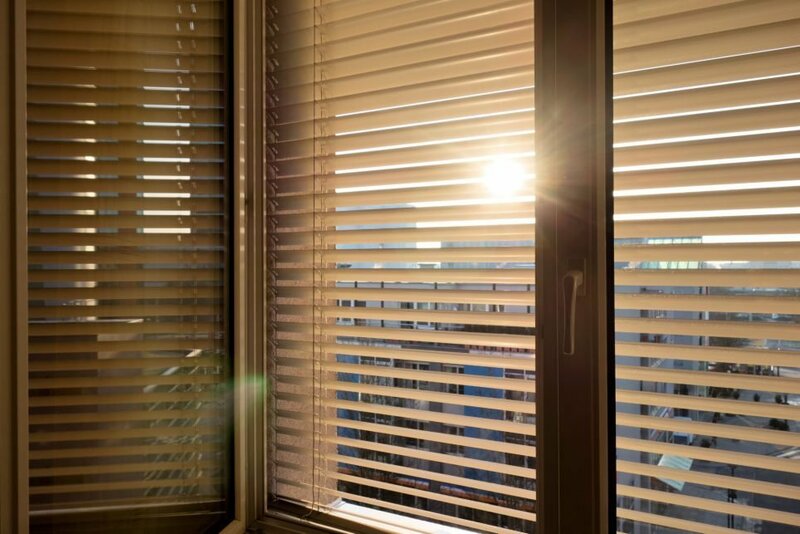 There are many factors to consider when purchasing blinds such as slat width or material. If you have any questions about the best blinds for windows, please contact us to schedule an appointment today.